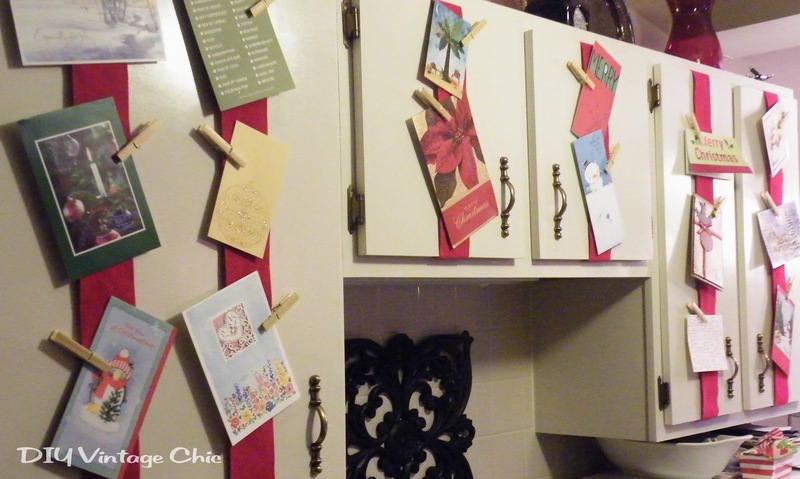 DIY Vintage Chic: More Christmas Decor! Here are a few new Christmas Decorations! 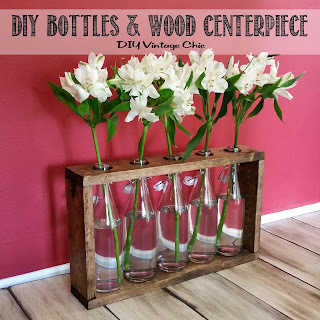 And you don't have to be all that crafty! 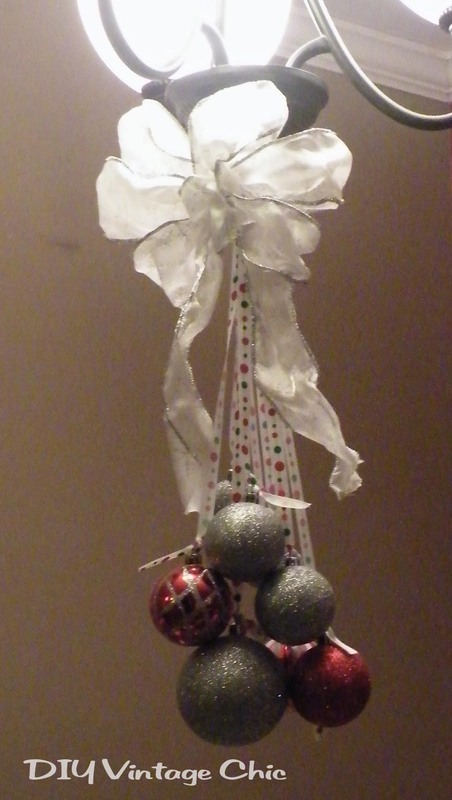 Grab some mini ornaments or little bells, throw them on a decorative plate with some candles. 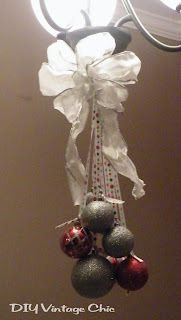 Use more Christmas ribbon and attach ornaments to the ends. Hang this from your chandelier. 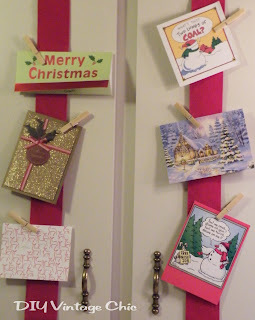 Check out other Christmas Decor projects. 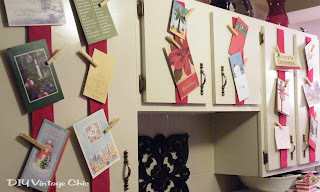 Linking up with: Crafty Spices' Wordless Wednesday, Bloom Design's Link Party, The Shabby Creek Cottage's Transformation Thursday, The Brambleberry Cottage's Time Travel Thursday, Beyond the Picket Fence's Linky Party, French Country Cottage's Feathered Nest Friday, Common Ground's Vintage Inspiration.